Earlier this week, Russia rejected a proposal from France to limit the use of the Security Council veto. This is the first time the proposal, known as the “French Initiative”, has met with public opposition from another permanent Security Council member. 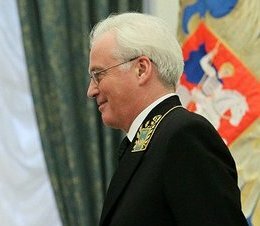 Russian ambassador to the United Nations, Vitaly Churkin, denounced the proposal as “populist” on Wednesday, and announced that Russia was against it. If the proposal is to work, all five permanent members need to support it. The proposal is a reaction to the calls for reform of the Council. It does not, however, call for a change in the UN Charter or in the make-up of the Council or its permanent membership. France is proposing a limit on the use of the veto in cases when mass atrocities have occurred. France, along with Great Britain, has not used the veto power since 1989. The remaining three permanent members, China, Russia, and the United States, have all used their privilege frequently throughout the soon-to-be 70 years of the United Nations.